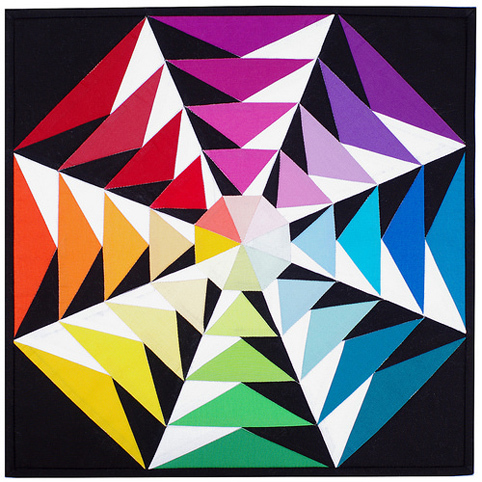 Red Pepper Quilts: RJR Cotton Supreme Solids Blog Hop AND a Giveaway! 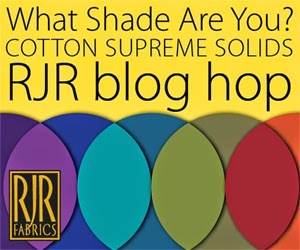 RJR Cotton Supreme Solids Blog Hop AND a Giveaway! A few weeks ago I was asked to participate in the RJR Cotton Supreme Solids Blog Hop and today is my turn for posting my project. 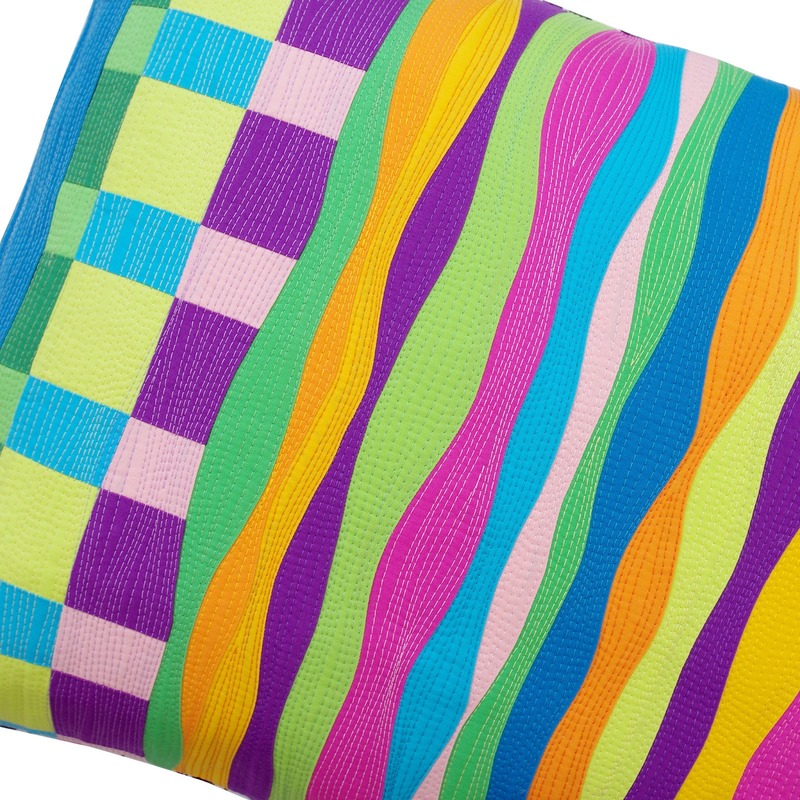 This Blog Hop is brought to you by Pink Castle Fabrics and RJR Fabrics. 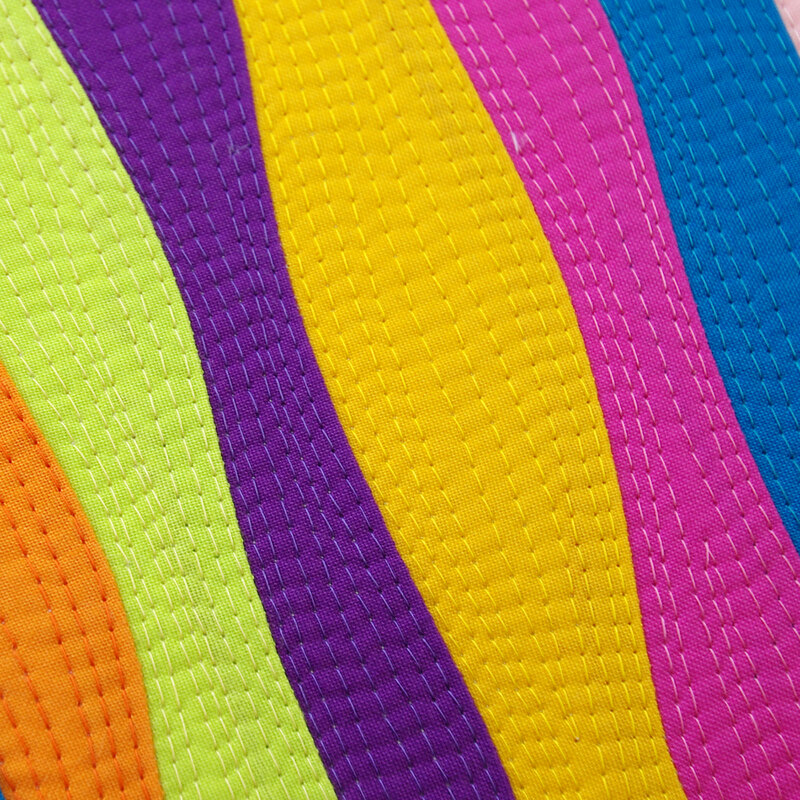 What Shade are you? I got to choose my own colors! 16 inches x 16 inches. 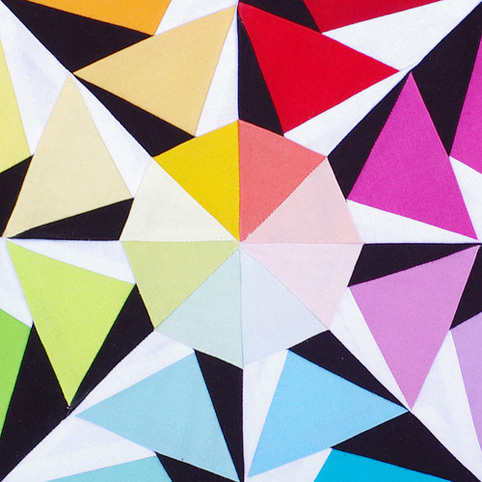 This block/mini quilt is from the EQ7 Kaleidoscope Collection. 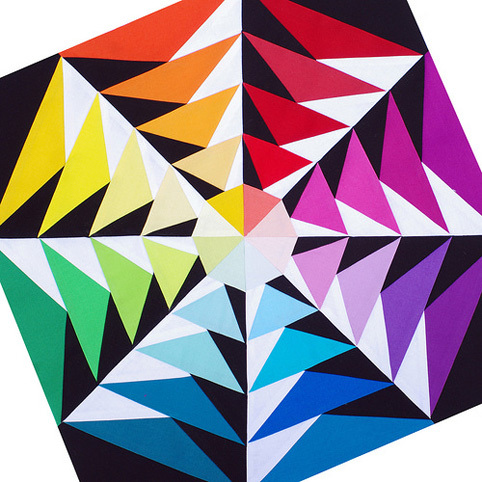 The block is called Color Wheel and is designed by Andrea Bishop. 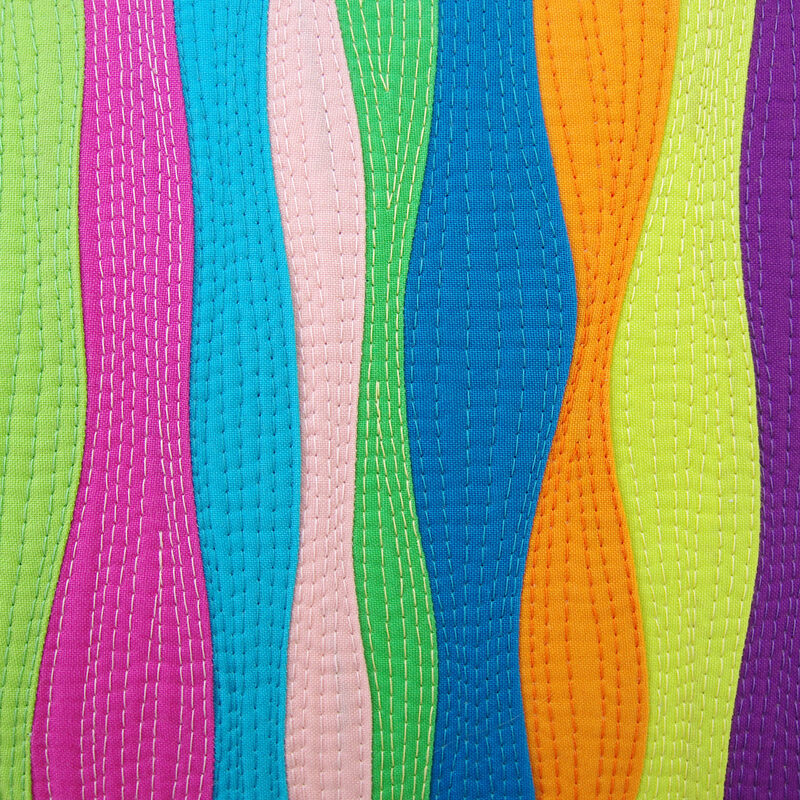 It is foundation paper pieced in eight separate sections, and I had the most fabulous time playing with the colors! 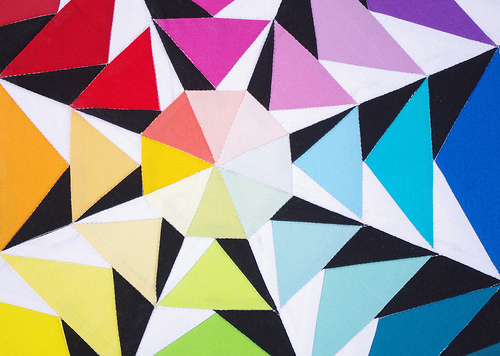 It is the perfect block to highlight the range of RJR Cotton Supreme Solids available and the subtle differences in shades/hues. 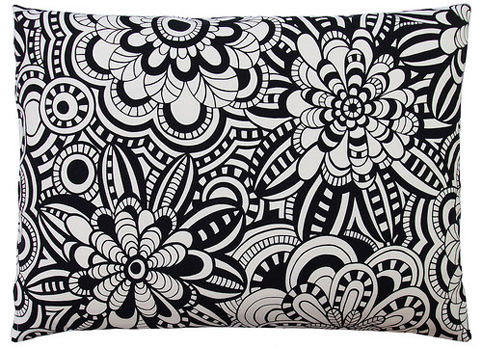 The pillow cover is again made with all RJR Cotton Supreme Solids. This is my first time working with improvised wavy, curvy lines and found the free form cutting, sewing, and quilting completely liberating. I was even surprised by how much I actually loved the process! For the quilting I have color matched the top thread with the fabric, although I have swapped some of the colors around ~ for example, orange thread on a yellow solid fabric, and yellow thread on an orange solid fabric. My sewing machine was in a wonderful mood and stitched nicely, but I wasn't going to push my luck by changing the bobbin thread for each top thread color change. I think it worked out well. I wish you could touch the screen and feel the texture! 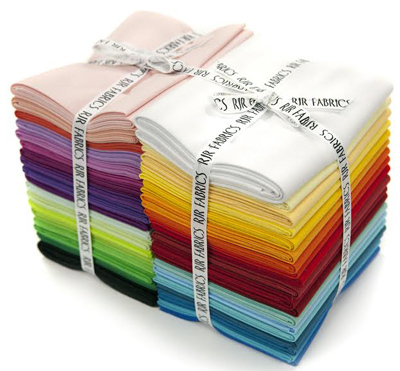 RJR Fabrics are giving away a Fat Quarter bundle of Cotton Supreme Solids in the same colors that I also received/used to one lucky RPQ reader. To be in the draw please leave a comment on this blog post. Only one comment per person/per email address - email me if you are not able to leave a comment (redpepperquilts at gmail dot com) and I will leave a comment on your behalf. International entries welcome! The draw will take place at 9 am on Monday 12 May 2014 (Australia - EST). What can I say? I LOVED working on both these projects - a sewing high, of course late at night, followed by hours of restless sleep. With thanks to RJR Fabrics for their generosity and Brenda from Pink Castle Fabrics for your support! Congratulations, Kris! Kris has been contacted by email. 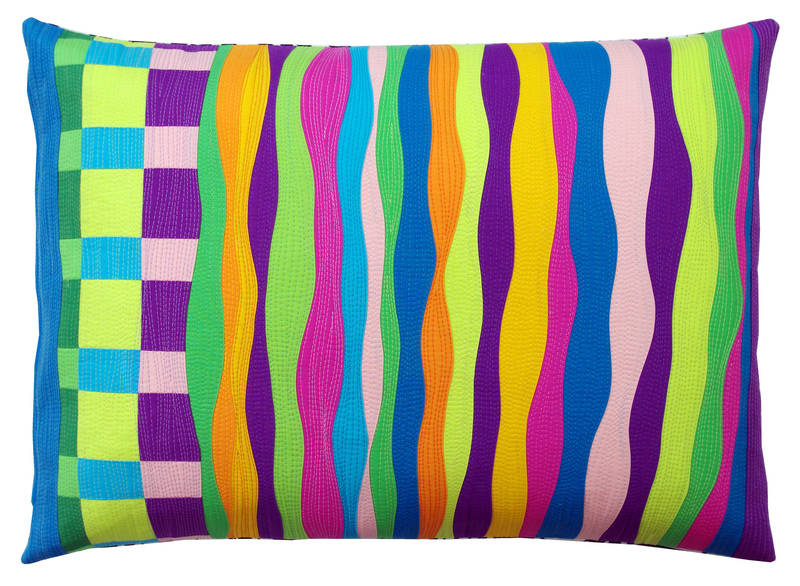 Making Waves Pillow Cover now listed for sale in my Etsy Store.